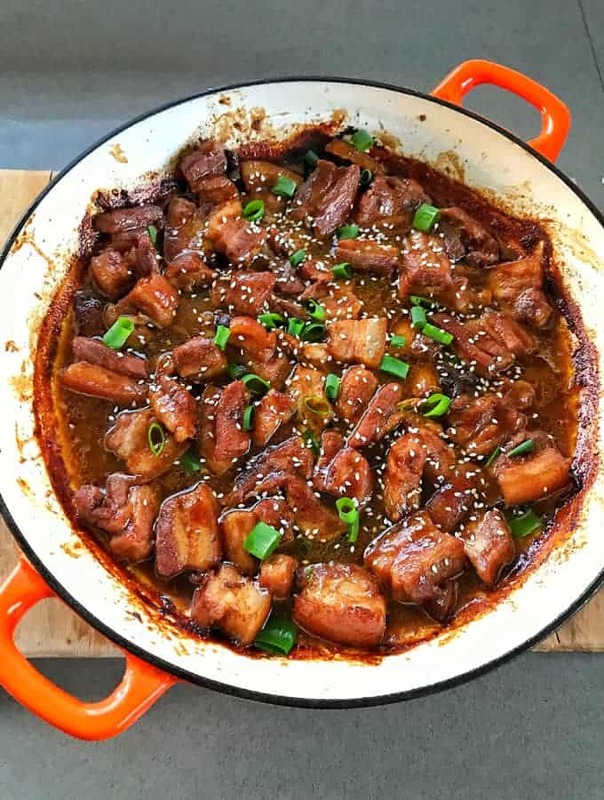 This recipe is so easy you just throw everything into the oven and 3 hours later you have perfect Chinese pork belly with a delicious sticky sauce. 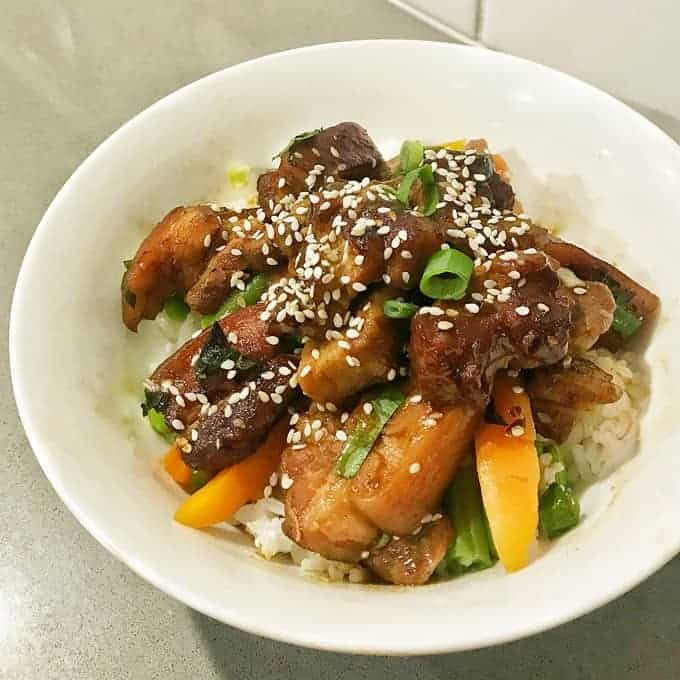 I love the flavour combo of 5 spice and star anise, this was a very easy meal to make and the pork turns out delicious and tender covered in a rich sauce. 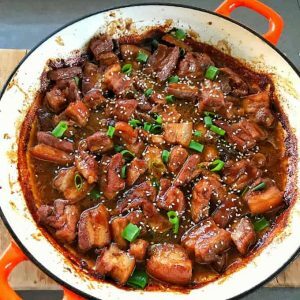 This recipe would also work well with pork loin if you want less fat and I think chicken thighs would taste amazing in this sauce too. I served mine on top of white rice with edamame beans, carrots and green beans, so tasty! 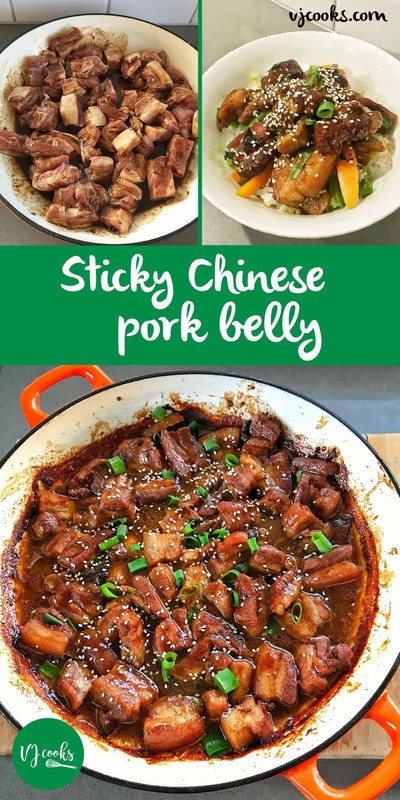 If you want to make this in a slow cooker cook it on high for 3-4 hours or low 7-8, and if you are looking for more dinner inspiration I have lots of ideas under the savoury recipes. Preheat oven to 170.C fan bake. Place pork into a oven proof baking dish, sprinkle over flour and mix. 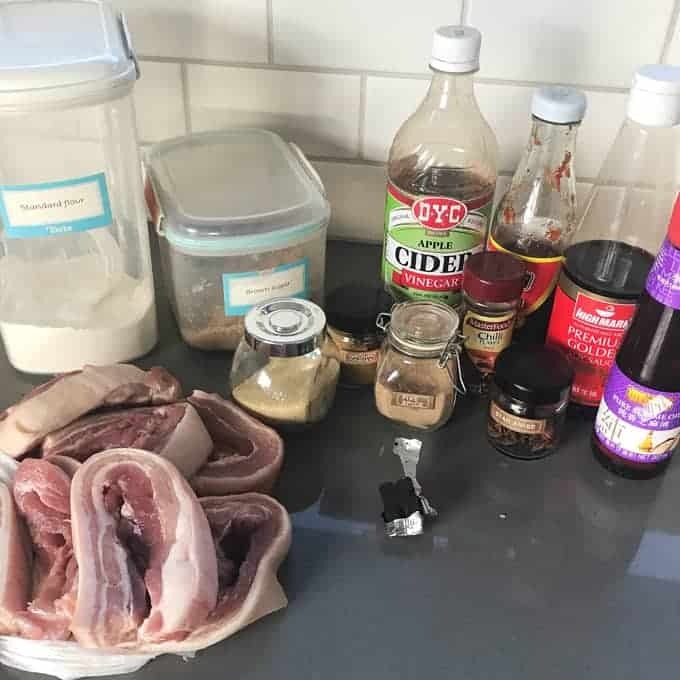 Combine all of the marinade ingredients in a jug and stir together, then pour over the pork. 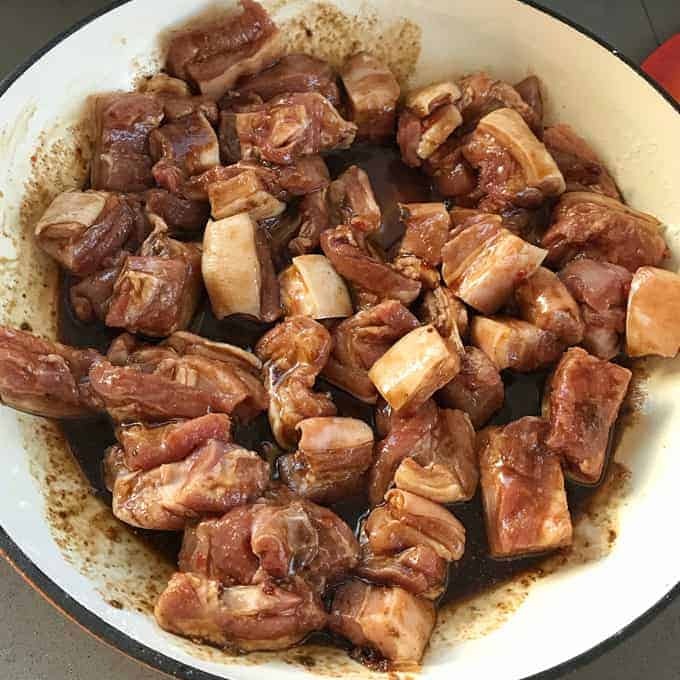 Use tongs to coat all of the pork in the sauce then pour in the stock. Cover with the lid then bake for 2 hours, remove from the oven, stir then and add the boiling water. Turn the oven up to 200.C and bake uncovered for 30 minutes until the pork is looking and smelling amazing. If your sauce is too thick add more water or if it seems too thin cook for a bit longer. Scatter over spring onion and sesame seeds then serve with rice and greens.